Our carefully designed kits are packed with all the materials and inspiration you need to get started on your craftivism journey. 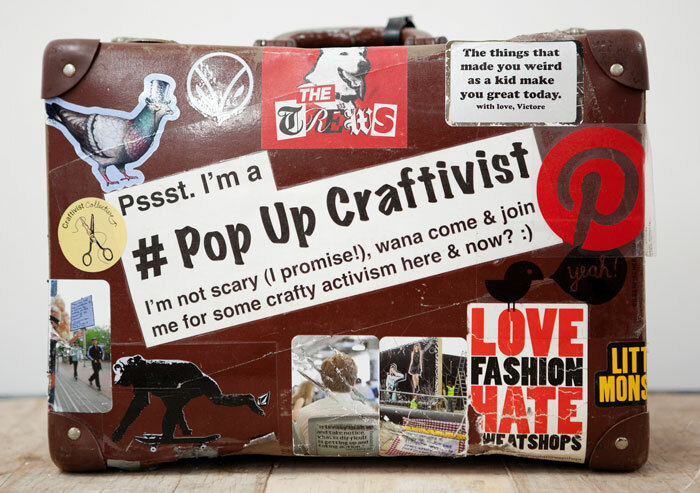 Looking for more craftivism ideas and support? These thought-provoking projects will help you get involved. Work with us to harness the gentle power of craftivism for your campaign, workshop, project or event. 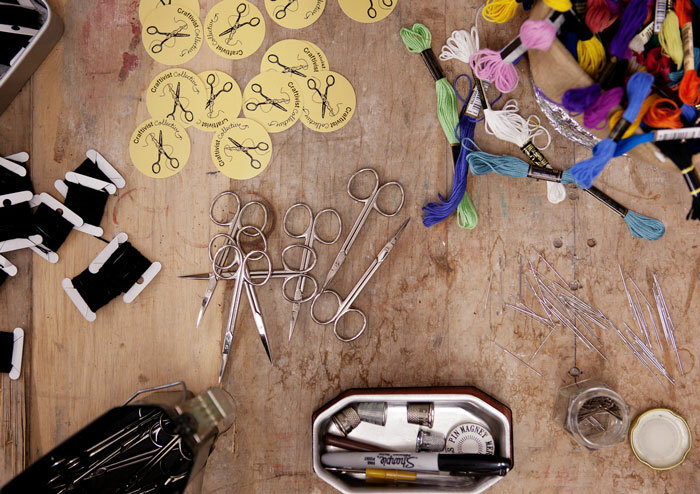 Founded by award-winning campaigner Sarah Corbett, the Craftivist Collective is more than an alternative use for craft. 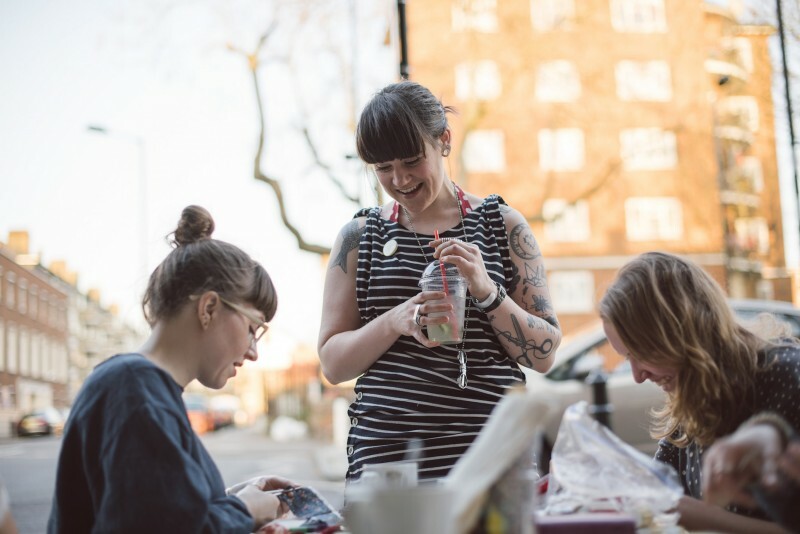 Our gentle protest approach to craftivism aims to change the world with deliberate, thoughtful actions that provoke reflection and respectful conversation instead of aggression and division. Love what we’re doing? Heart work is hard work. Be part of it. @Rin Simpson: My small act of craftivism will, hopefully, go some small way towards changing the world. But more importantly, it has changed me. 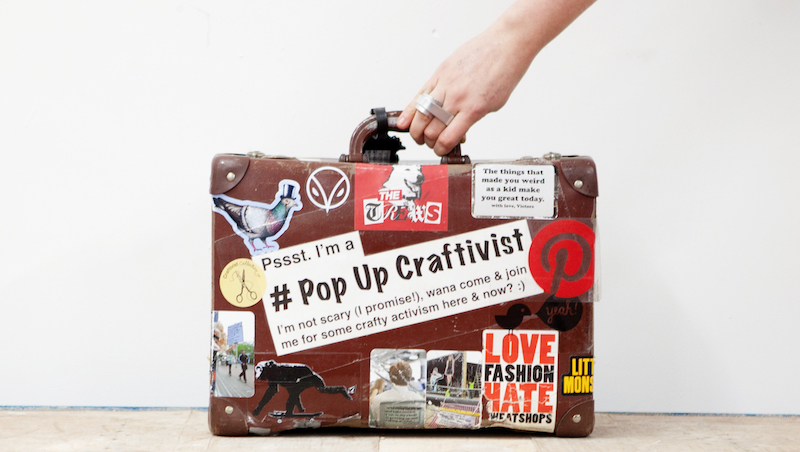 @NorthWestNosh: #craftivism encourages craftsters to engage with activism in our own quiet way. Sometimes the quieter the revolution, the louder it is heard. @PrickYourfinga: At tonight's #craftivist stitch-in we talked about what it must be like to be a politician, and how to activate change in our busy lives. 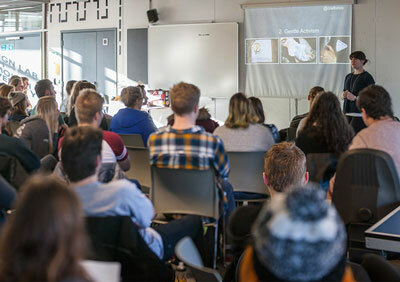 @tomofholland: @Craftivists shows, inspires and facilitates craftsters to unite their individual creative powers to raise awareness of social issues. @storyofmum: I love the project – it’s really inspiring & creative & has really got me excited about activism again in a way I haven’t been since my teens!